← Free Popcorn Seeds! Grow Your Own Popcorn! 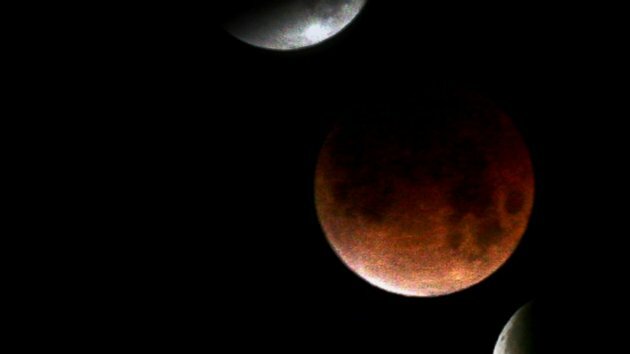 See The Blood Moon In Just A Few Hours! What are you doing at 3:07 in the morning? Why not head outside to see the “Blood Moon”? At 12:53 a.m. ET, the Earth will begin to position itself between the sun and the moon for the first of a series of four total eclipses to conclude in September 2015. The phenomenon is known as a tetrad, in which the moon is completely covered by the earth’s umbral shadow for four eclipses in a row, as opposed to only partial eclipses that fall in the outer penumbra. But rather than succumbing to complete darkness, the moon will glow red as it receives the refracted light that spills over the Earth’s circumference. The next tetrad will begin in 2032. To catch the moon at its bloodiest (with the naked eye but weather permitting), spectators should look up at 3:07 a.m. when it is entirely covered by the earth’s shadow.